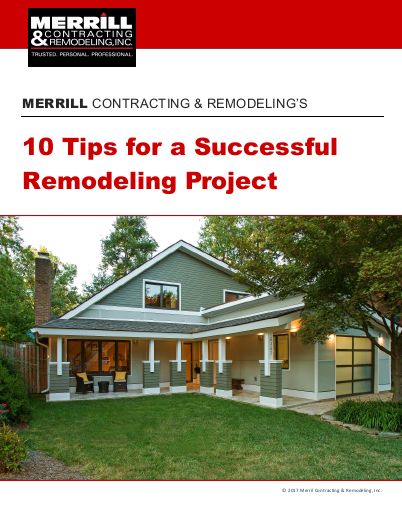 There are a lot of decisions to make when you’re doing a home remodeling project. You’ll likely start with personal preferences for the layout and the ways you’ll use the newly remodeled space. And we can help you with you comparing appliance brands and types of fixtures, but what do you do when it comes to choosing colors? The process can be frustrating, but there are several ways to approach it. The choice is easiest when the new space flows into an existing room. You’ll want to choose colors that blend with that room’s décor. But what if it doesn’t really need to match anything else? Where do you begin? Light and airy or dark and dramatic? Trendy or classic? Daring or cautious? The exterior color of your home is something you should consider very carefully. You can’t easily change the color of siding or roofing (at least not affordably) if you decide you don’t like it. You may want to blend with your neighborhood by choice or necessity, because of Homeowner Association rules. Neutral colors are timeless and classic. Popular shades for 2019 are expected to be darks (especially dark blues and dark grays), farmhouse whites, and the new neutral, greige (a color between beige and gray). Your front door color is easy to change with a coat of paint. It should be welcoming and friendly. A bright or dark color points the way for guests. 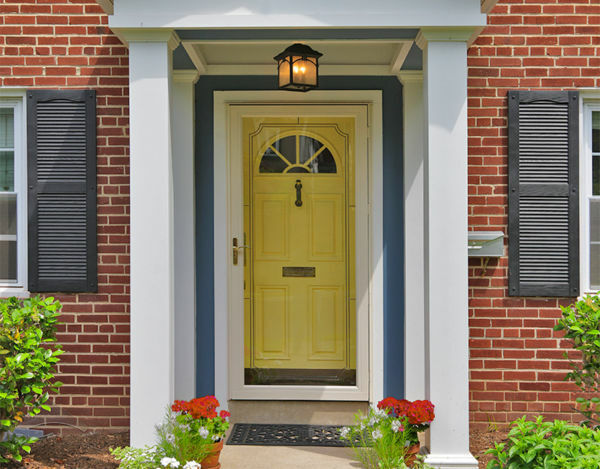 In fact, a fresh-looking front door is on the top of the list of things that bump up the curb appeal of your home. The feeling you want your remodeled space to convey is one of the most important things to guide your color decisions. If you yearn for spa serenity in your master bathroom, select soft, warm earth-tone colors for your tile, flooring and walls. Burnished fixture finishes of gold, bronze and copper coordinate with this décor and are a fresh look for 2019. White kitchens are here to stay, and if you’re looking for a light and bright room, it’s a great way to go. Add touches of color in accessories like table linens. If a comfortable, farmhouse-style kitchen is what you’re looking for, avoid the monochromatic look. Instead, you’ll need a variety of textures in soft colors and natural wood cabinetry to achieve it. Cabinetry is available in a wide range of stain, glaze and paint colors. Combining traditional stained cabinets with an island or a few cabinets painted in color adds to the farmhouse feel. This is the time of year when you might see predictions for the “2019 Color of the Year.” While trends come and go, it is a good way to get ideas. Many of the major paint companies’ selections for the next “Color of the Year” are colors of nature, healing, and rejuvenation. 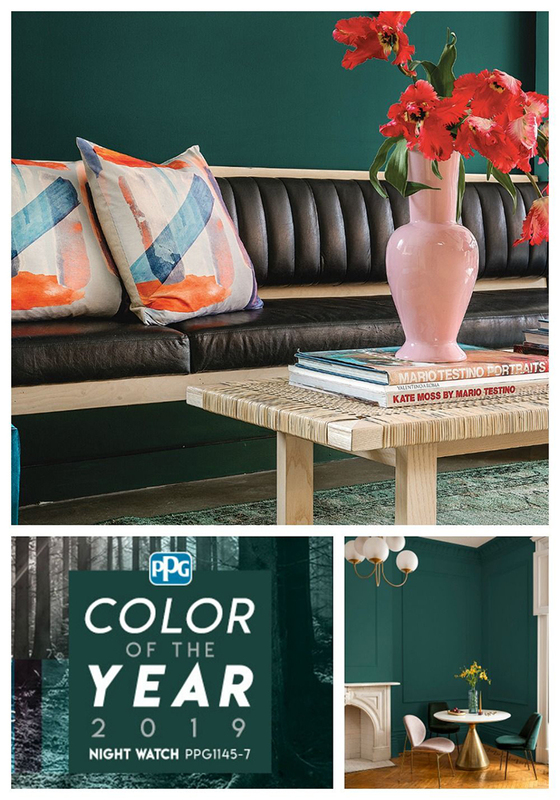 Behr, PPG Paint and Dutch Boy have chosen soothing blue-green hues for 2019. 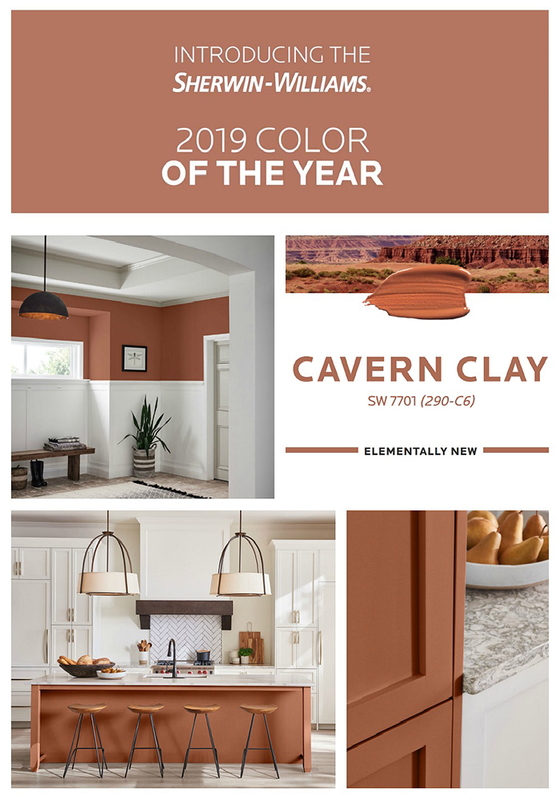 Sherwin Williams’ favored color, Cavern Clay, evokes the Desert Southwest. 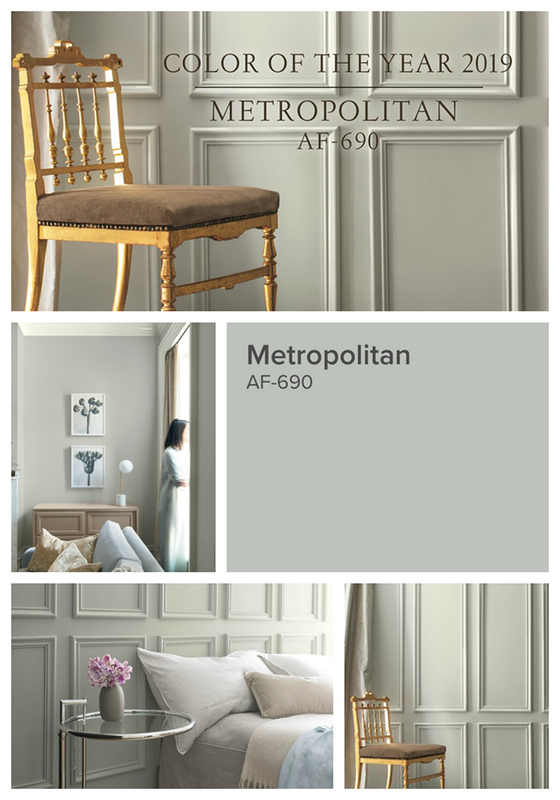 Benjamin Moore continues refining previous trending colors by selecting Metropolitan, a warm gray. If you’re not confident in going all-out with this year’s trendy color, be bold with things you can more easily change: a statement wall, some tile, fabrics, or wall art. 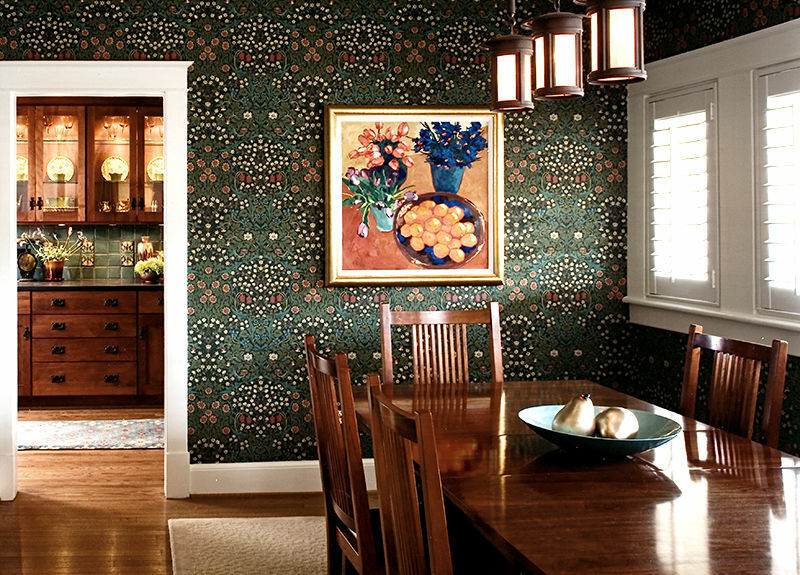 Wallpaper is back in style again and not only is it a fresh look, it can be a terrific stepping-off point for guiding you in a choice of coordinating hues for the room. Whether you look for inspiration online or start with fabric, wallpaper or a piece of artwork, the important thing is that you choose colors that you love looking at every day. When we design your new space, we’re very happy to listen to your ideas and guide you. We can make suggestions that we think will be perfect for your new spaces.